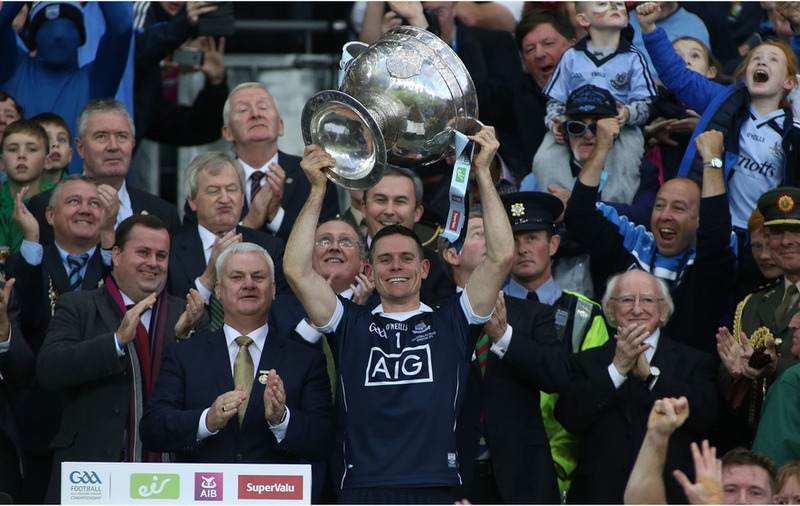 BARNEY Rock says Dublin need to extend their dominance until 2020 to be compared with the greatest county teams ever to play Gaelic Football. Allstar Rock, an All-Ireland winner with the Dubs in 1983, played his part in a rivalry with the great Kerry teams of that era that is now part of GAA folklore. His son Dean hit nine points last Saturday night to help stretch Dublin’s unbeaten run to 34 games, a sequence which equalled the record Kerry had held since 1933. But Rock says Dublin still have a bit to go before they’re ranked alongside the all-time greats. “I think you've always got to look at the years,” said the Ballymun clubman. “In the ’70s, the great Kerry team was around. Dublin won three in six years, and the Kerry team won eight in 12 years, so people will always judge you on how many medals you have won, certainly in Kerry. “You look at the great Tyrone team that Mickey Harte had, like, they won three All-Irelands and they'd never won one before and they might have appeared in two All-Irelands before that. They had a lot of work to do. “The Kerry team of the noughties were a fantastic team too, so I think you can only judge teams every 10 years and at the moment Dublin are the best team for the last, say, since 2010. Dublin host struggling Roscommon on Saturday night and are odds-on favourites to set a new 35-game benchmark against a Rossies side that hasn’t registered a point in Division One this season. Rock says Jim Gavin’s players will be keen “just to beat it (the record) and to have done with it”. “I wouldn't say that these fellas go and sit down and look at papers,” he said. “They do know what's going on around them, they're an intelligent bunch of boys and no matter what Jim (Gavin) says it is there and I think if they go along and beat it on Saturday night, they won't mind, because that's the end of it. “It doesn't matter then, they've beaten the record and it will be theirs forever, well, forever until somebody else beats it. “After that it won't matter if they play Monaghan and keep it going, people might make more of it but the record will be beat. He added: “The game in our day probably was a little slower, definitely slower than it is now. “When you look at the physique of players, look how big and strong they are, and you look at us, we always thought we were big and strong back then and we could take a hard hit but a lot of the hard hitting has sort of gone out of the game.